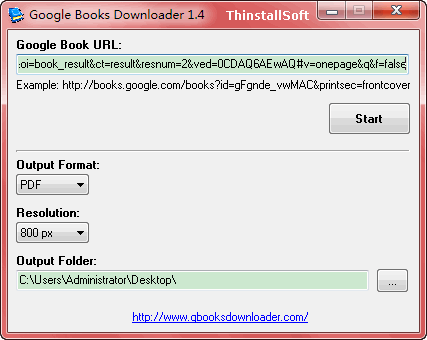 Google Books Downloader is a free and simple downloader to save Google Books into PDF, PNG or JPEG format. Just input the Google Books URL and choose output format, resolution, then Google Books Downloader will automaticall download it for you. Note: Run gbooks.exe to launch Google Books Downloader Portable. Google Books Downloader Portable was updated to version 2.7 on 2017/3/8. This entry was posted in Internet Tools and tagged download, downloader, google, Google Books Downloader. Bookmark the permalink.